 Staff members of the College of Arts and Sciences are eligible for the following University-wide awards. Deadlines and criteria vary; for details, visit the website for each award. Outstanding Staff Award: Given by the Office, Clerical, and Technical Staff Assembly (OCTSA) to two employees from among the office, clerical, and technical staff of The University of Alabama whose exceptional ability, performance, and attitude have advanced the mission of the University. Call for nominations made in February; deadline is mid-March. More information: OCTSA, octsa.ua.edu or octstaff@ua.edu. Additional information and nomination forms for these awards can be found at hr.ua.edu/awards-and-criteria. Vergil Parks McKinley Sr. Employee Award: Enterprising employees. Nominations taken year-round. Minnie C. Miles Endowed Excellence Award: Nonfaculty, administrative employees. Deadline is early March. The University Awards Committee solicits applications for the five Premier Awards, the highest honors given at the University. Students, faculty/staff, and other campus partners are encouraged to nominate faculty and staff members for the two awards that also accept non-student applications, the Morris Lehman Mayer (for faculty) and Algernon Sydney Sullivan Awards (for faculty and staff). More information: https://sa-app01.ua.edu/premierAwards/public/awards.